Brazil journalist and home brewer JOSÉ VIRGILIO BRAGHETTO (BYTES AND BEER) visited Prague and Czech Republic in September to make a film about Czech beer, especially pilsner type of beer – Czech lagers. During his stay José visited Pivovarsky dům Praha (Brewers house in Prague), Mini Brewery U Medvidků (At Teddy Bears), Beer Yard Cernice – Pilsen and Brewery Berounský Medvěd (Beroun Bear), where he met and interviewed brewers and the brewery representatives. During the small local beer festival he interviewed also the brewers from the Brewery Yard Chýně and representatives from the Brewery Matuška Broumy. 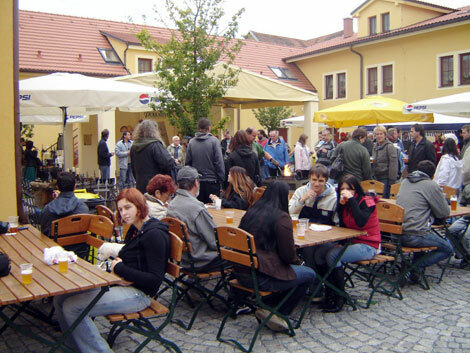 On 15th August 2010 our project Czech Beer Tours became an official partner of the biggest open air festival of small and micro breweries in Czech Republic – SLUNCE VE SKLE (Sun in a Glass), organized by the Brewery Yard Purkmistr Cernice – Pilsen.